Nike Air Force 1 vs Adidas Stan Smith: Which is Better? The all-white sneaker is a wardrobe must-have. 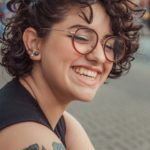 Here’s a quick style guide to help you chose the best one for your personal style. A pair of all-white sneakers is a wardrobe basic. 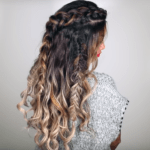 You can style them into endless outfits and they work for multiple seasons, making them well worth a small splurge. But before you spend on a pair, it’s a good idea to do a little research. 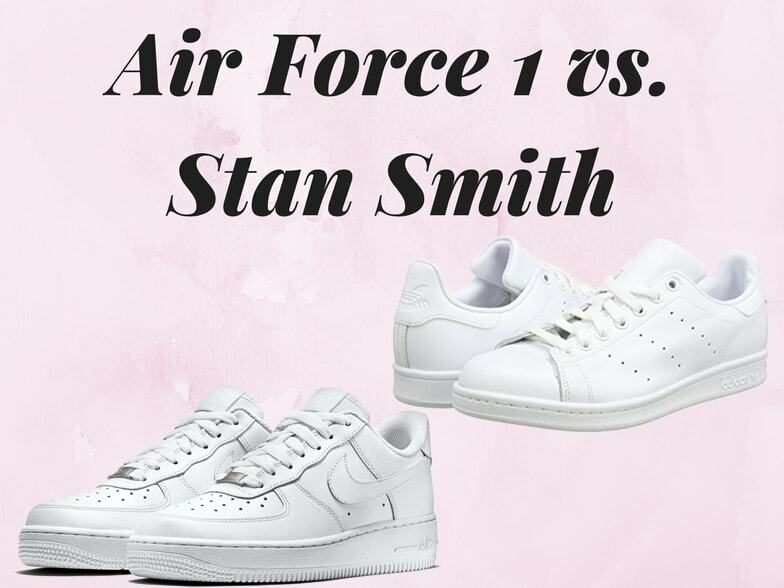 While there are several options on the market for all-white sneakers, we have narrowed your search down to two fashion girl favorites:Nike Air Force 1s and Adidas Stan Smiths. These two classic designs, apart from having been ultra-trendy over the past few years, have never really gone out of style. They are also both available at affordable prices with many customization options. Below, I’ll explain the main differences between the two sneakers and advise you on which pair you should buy. 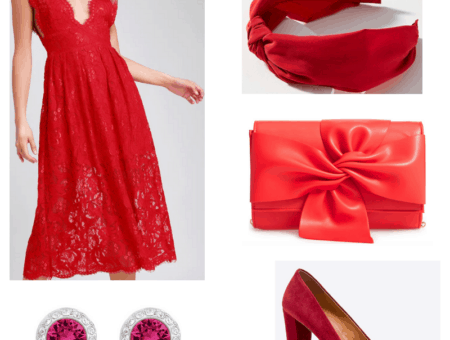 I’ll also include two outfits to show you how to style each pair. Let’s get started! When I think of Nike, the terms “blogger chic” or “classic style” do not come to mind with most of their shoes. The Nike Air Force 1, however, is an exception. It’s a clever, stylish sneaker design which balances athletic comfort with a street style aesthetic. Air Force 1s were released in 1982 as the first basketball shoe to feature the Nike Air technology. This design made a major impact on the basketball industry and trickled down onto the street courts. It is interesting that the design was originally meant to be masculine and now it’s seen as the perfect unisex style. As Nike put it, the AF1 sneakers are a part of the fashion core in hip-hop street style culture. Nike Air Force 1s are a great choice if you are a total sneakerhead and you have more of a sporty, causal style. They are a nice fashion upgrade from a regular pair of sneakers, yet they’re still just as comfortable and practical. In this outfit I wanted to incorporate sporty elements to mirror the shoe’s design, so I mixed an athleisure-style crop top with a varsity-striped crop sweater. Mustard is a trending color this spring, and this backpack in the hue adds a surprising pop in this otherwise muted outfit. And can we take moment to talk about these mom jeans? I love the wash, fit, and distressed detailing of this pair. A chill pair of mom jeans is a nice counterbalance to the sporty AF1s. The original Adidas Stan Smith sneaker was designed as a tennis court shoe. It was christened the Stan Smith, after a champion tennis player of the time, in the early 1970s. Stan Smiths have been especially trendy over the past few years, appearing on practically every fashion blogger of note. The trendiness is dying down now, however the timeless style of the simple all-white sneaker remains. Stan Smiths are defiantly the chic, style blogger-approved sneaker choice. If you are looking for a causal sneaker that you can still style with your favorite dresses and skirts, then the Stan Smith is your go-to shoe. When styling Adidas, you can unleash your inner girly style by pairing them with fun skirts and dresses. Honestly, even though you could pull off a t-shirt dress with the Nike AF1s, the Adidas have a softer design that makes them pair more nicely with feminine styles. “French Girl” style is forever a trend, especially for springtime, so I decided to incorporate that vibe into the outfit. (Stan Smiths are also very popular in Paris!) 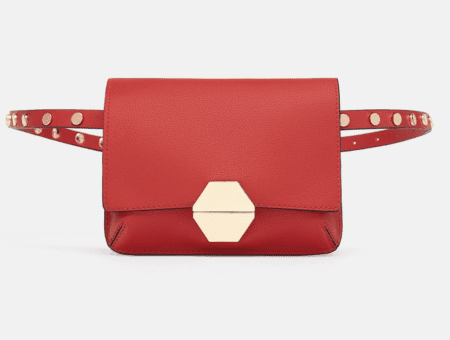 I tend to add pops of color with my accessories; here I chose a red crossbody bag to make a statement. So…. which sneaker should you buy? Let’s consider the history of each sneaker design: Air Force 1s were made for basketball courts and Adidas Stan Smiths for Tennis courts. For a basketball game I’d go for an athleisure vibe with leggings, tracksuit jacket, and the AF1s. Think hip-hop street style. For a day on the tennis courts, I’d wear a cute little skirt and maybe high-rise socks with the Adidas. Think preppy and classic. Get the idea? The choice, then, depends on your personal style. Are you more athletic and all about comfort? Nike Air Force 1 is your best bet. Or you do like a girly, classic style and want a casual touch? Then a pair of Adidas Stan Smith sneakers should do the trick. Which all-white sneaker do you plan on buying this spring? Or do you already have a pair in your wardrobe? I’d love to hear your sneaker choices in the comments below!